Great to see that Brook House, Tottenham by KSS is only 65 days away from completion. We assisted the scheme through the successful planning application, producing a wide range of imagery including AVR verified views and CGIs, as well as contributing visualisations throughout the design process. Bouygues has been appointed preferred contractor on a Manhattan Loft Garden’s Striking 42-storey tower in Stratford, east London. This success follows a string of winning bid that we've been involved with as our experience in the construction sector has gone from strength to strength. In our latest marketing CGI for Urban Creation, we depict their new luxury student accommodation development, Tyndall’s Park Road, in a beautiful evening setting. 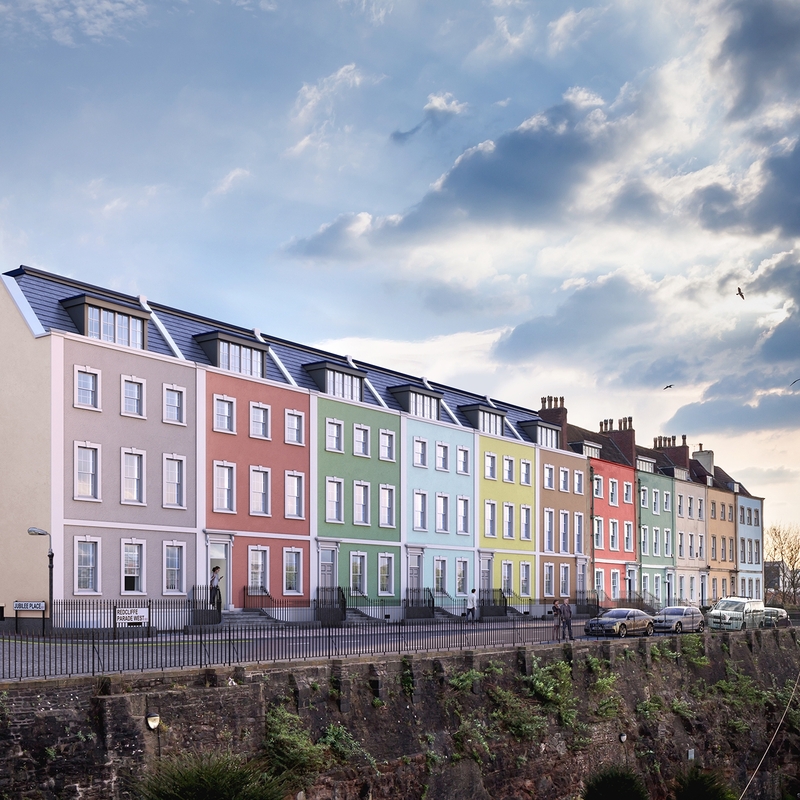 The image has helped secure pre-lets for the next academic year by enabling the market to understand the final look, and quality of the scheme, before completion. On 7th February, London architects EPR, won unanimous approval from Croydon Council’s planning committee to transform a disused office building – known locally as Nestlé Tower - into 288 residential apartments. The quality and availability of accommodation for London's student population looks like improving again after Generation Estates' project at 122-130 Goswell Road completes it's consultation phase. Generation Estates continue to lead the field when it comes to student accommodation with their project at Ewer Street completing the final phases of the planning application. We were commissioned to produce a film and stills for an exclusive residential development in Gubbio, Italy. You can see the full film here. Carrot launch their latest development in London using animation and images crafted by Preconstruct. Working with design house Fuga we bring Breathe Developments latest project to life. The DVD of the 10 Unity Street development is released at the launch of the sales suite. Our 30 second advert for 10 Unity Street is broadcast at the 2005 Bristol International Balloon Fiesta.